Moreover, while many shale drillers have cut their breakeven prices over the past few years, pressure from shareholders on capital discipline is much stronger than it used to be. In years past, shale drillers could pile on the debt, promising to eventually be profitable, and investors went along. That is no longer the case. That means that the pressure to cut back in order to preserve profitability is potentially higher than it used to be. With all of that said, OPEC+ could put an end to the latest slide in prices as early as next week. Rumors of a large production cut began circulating a few weeks ago, and the lower prices go, the more likely it is that the cartel will take action. At this point, with expectations of some sort of action largely priced in, inaction would likely drag prices down much farther. As such, it seems highly unlikely that OPEC+ will do nothing. The US shale oil industry will never be profitable irrespective of oil prices. US shale oil producers are so heavily indebted to Wall Street to the extent that they will continue to produce oil even at a loss just to pay some of their outstanding debts. No industry will survive the hundreds of billions of debts burdening the US shale industry unless there is a geopolitical motive by Wall Street investors supported by the US government to keep it afloat. 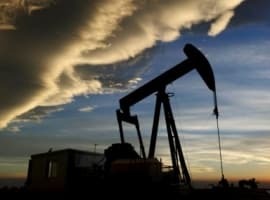 The Institute for Energy Economics and Financial Analysis (IEEFA) and the Sightline Institute said in a newly published report that even after two and a half years of rising oil prices and growing expectations for improved financial results, a review of 33 publicly traded oil and gas fracking companies showed that the companies posted a combined $3.9 billion in negative cash flow in the first half of 2018. According to the IEEFA and the Sightline Institute, America’s fracking boom has been a world-class bust. This raises huge question marks about the future of the US shale industry. 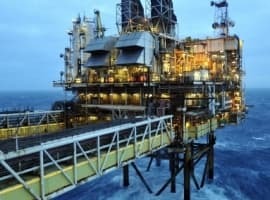 If the industry is still not profitable – after a decade of drilling, after major efficiency improvements since 2014, and after a sharp rebound in oil prices – when will it ever be profitable? Still, an MIT study published in December 2017 reached the conclusion that the US vastly overstates oil production forecasts and that the EIA has been exaggerating the effect of fracking technology on well productivity. According to this study, the EIA’s weekly forecasts could very well be overstating US oil production a by 1 mbd. You shouldn’t bank on OPEC deciding to cut production in its December meeting. The overwhelming OPEC members could be against any new cuts. 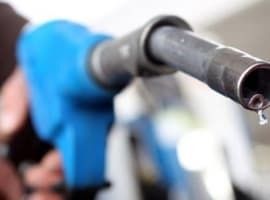 Instead, they will demand that Saudi Arabia and Russia withdraw the 400,000 b/d and 250,000 b/d they respectively added to the market and return them to the previous 1.8 mbd cut under the OPEC/non-OPEC agreement. In so doing, the glut in the market could ease. Libya will also have to commit not to raise its oil production above 1.2 mbd if it is to continue to be exempted from the production cut agreement. It is always interesting to hear Dr Mamdouh G Salameh's view. His comments are backed by multiple references which lend credibility to his assessments. Please continue to contribute your interesting and credible comments Dr Salameh. Regards, D. R. Pearson. When the concept of U.S. Shale Oil was brought up not too long ago, it was met with wails of laughter and derision, followed by worry, full-fledged panic and, ultimately, denial. Some outlier shale operations are profitable as low as $30 a barrel but what's important is how shale acts like a thermostat - when the price is high, shale output helps lower the price, dramatically cutting into profitability by Russia, Saudi Arabia, Kuwait, and others. As the cost of crude drops to $45–$50 per barrel, individual companies slow drilling activity, and when prices rise over $55-65 per barrel, they’ll ramp up output. The United States is now the largest producer of oil and crude oil in the world and this has greatly helped our economy, our consumers, generated a tremendous number of jobs.